Back in August I posted here about a Korres moisturiser that I had been using and really enjoying. To tie in nicely with that, Bath & Unwind kindly sent me a Korres CC cream to try and I have enjoyed it just as much! 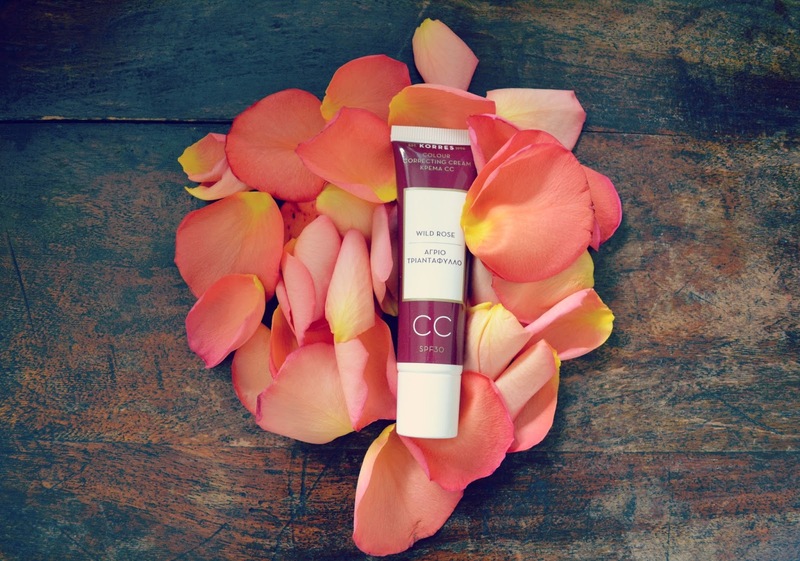 For the uninitiated, a cc cream is a 'colour corrector' cream (hence the abbreviation) that helps to even out your skin tone without the cakiness and thickness that can sometimes occur with foundation. This product not only contains an SPF of 30, it is also a moisturising cream which is perfect for my dry skin. Key benefits of a cc cream include brightening and evening out the skin tone of the face, which is great if you don't have many blemishes to cover but do have an uneven tone; my face can be quite blotchy and uneven across the t zone with occasional redness which means I always use some form of foundation, so I was really excited to try this one! The product comes in two shades, light and medium, and I was pleased that the light shade seemed a good match for my skin. I don't seem to have tanned at all over the summer, so it's neither too light or, as some 'light' tones can actually turn out, too dark! I applied it using a foundation brush and it blended out beautifully. The texture of the cream is moisturising but not oily, and it contains light reflecting pearls to give a radiant, not shiny, look to the skin. It has a very delicate rose scent which I loved as this is one of my favourite fragrances, and it also contains vitamin E, which is a great nourisher for the skin and can help to reduce any scarring. 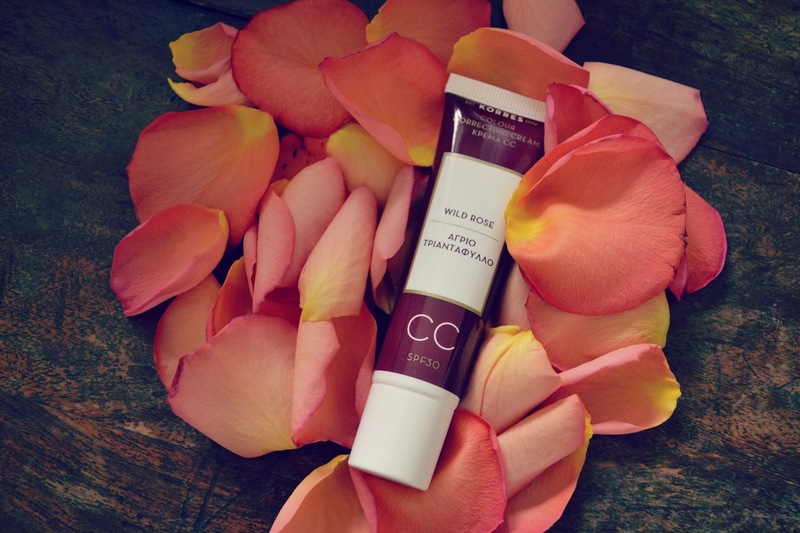 The cc cream lasted a full day without needing retouching, and provided lightweight but robust coverage that didn't flake or transfer. I can't recommend this product highly enough and I will be re-buying; it's not cheap but I have bought inexpensive base products before and more often than not had to disregard them after only a couple of uses as my skin did not agree with them. This one is more of an investment, yes, but definitely a worthy one. 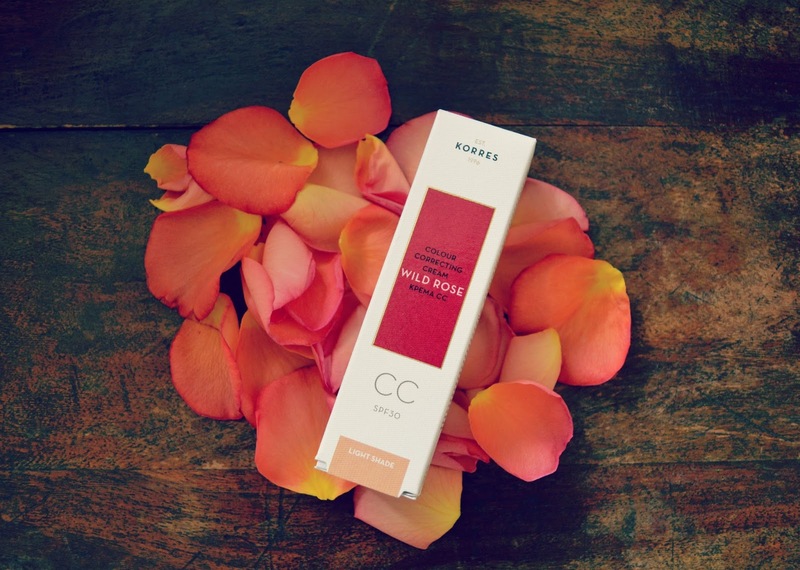 You can shop the cc cream here, and don't forget to check out the rest of the Korres range on the Bath & Unwind website too!